When thinking about purchasing your very own holiday home it is not just about finding the right caravan or lodge at the right price, the right park or even the right location on the park to site it on. Although these factors are very important there are other costs involved which should be looked into carefully before deciding to go ahead with your exciting new lifestyle. 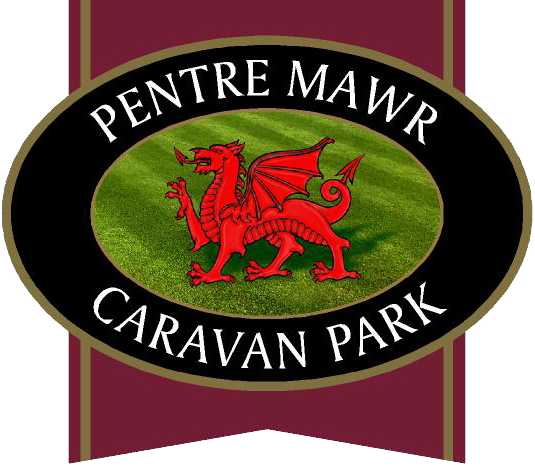 Site Fees for caravan parks, sometimes called pitch fees or ground rent, are generally paid on a yearly basis at the beginning of the season (March on most parks), the fees from park to park will differ depending on what facilities are available, how many staff there are, the location of the holiday park and the aesthetics. The fees cover costs like ground maintenance, street lighting, any owners events, the running of clubhouses, swimming pools. So when deciding where to have your home do yourself a checklist of the minimum requirements for you to enjoy your holiday and free time. Site fees may also vary depending on the position of the home, for example; if you want to be on the seafront in a lodge on a coastal park, you should probably expect to pay more than someone on the fourth row back from the sea. Well yes, they do on some parks, as the price of electricity and general cost of living increases so will the site fees. On average site fees for caravan parks in North Wales usually go up a small percentage every year, somewhat in line with the Bank of England’s inflation rate. What amount should I pay? Choose a park with the amenities that suit your needs, you will probably be paying more than you need to if you are not going to use the extras that the park offers. For example, if you have no interest in a swimming pool, clubhouse or on site entertainment then choose a park without those things and you’ll find mostly that the site fees reflect that choice. Stick within your own comfortable budget for yearly planning; most owners find the easiest way to save is to put a monthly figure away so that it’s already set aside when the bill comes in. Well the best way to explain this is that the owner of the park at some time in the past, and will again in the future, had to invest a huge amount of money into the park to put the electric cables down, lay gas pipes, roads, concrete bases, landscaping, receptions, caravans to sell on and of course the initial purchase of the park. Site fees are an expense, yes, but the alternative is to go and buy a plot of land yourself, apply for planning permission, put all the services in, source the lodge or caravan, arrange transport for the home, employ specialist contractors to site the home…all this in a stunning location with a private gardener and maintenance man….the site fees on a holiday park seem pretty reasonable now, don’t they? Do I pay rates or council tax? Rates are usually paid on most parks in North Wales although it’s not uncommon to see the rates included in the site fees. This generally covers all external services that have to be used to make sure your holiday home functions as you would like it too. Clean water, sewage and refuse all have to be brought in or outsourced by contractors as you would pay for in your own home. Again this cost varies for caravan parks in North Wales from park to park and council to council. 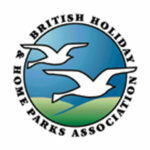 Council tax, as you have at home, only applies to residential parks as most holiday parks will require a proof of permanent address away from the park. For your comfort, all caravan and lodge holiday homes will come with electric and most also have gas. Some parks run their electricity through a token system although the majority are attached to a meter which you can read, and the balance of the electricity used will be billed to you either once or twice a year. Gas can generally come in 2 forms; either as a gas bottle which is connected to a regulator and fed through into your caravan. Mains gas is increasingly popular and measured so you only pay for what you use. This is usually billed around the same time as the electric. Just like your car and your house, protecting your large purchases is a must in case of any damage or loss and just the same goes for your caravan or lodge. It must generally be fully comprehensively insured. Most companies offer insurance that suits their park, however, you can search for the best deal online or through independent brokers. Well, it may look daunting and costly however you can justify your spend with a few simple sums. Work out how many holidays you currently have a year and the cost of them and how many days do you get for your money? How many extra short breaks, nights away, escape from home days would you like to have a year? Do you have any family members that may benefit from you having your own holiday home and what would be the savings or costs to them? As you can see you probably didn’t realise how much you already spend on your current lifestyle and for only a fraction of the time. Having your own holiday home naturally comes with costs, but pound for pound you get much more out of your lifestyle and leisure time, and it benefits your whole family!